This is a worship song I wrote a few years back. I haven't written that much for some time, and I see this as the season of my life to finally do this recording project. I am excited to see how the Lord will direct and bless this endeavor. I do not plan to stop recording, as this has been a long overdue work that I believe needs to keep going until the Lord takes me home. May this song bless you richly, encouraging you to keep yourselves in the love of God (Jude 21), and may it bless the Lord as His Spirit leads you to sing it to Him. The first two exercises are regular ascending and descending scales with different rhythmic variations. 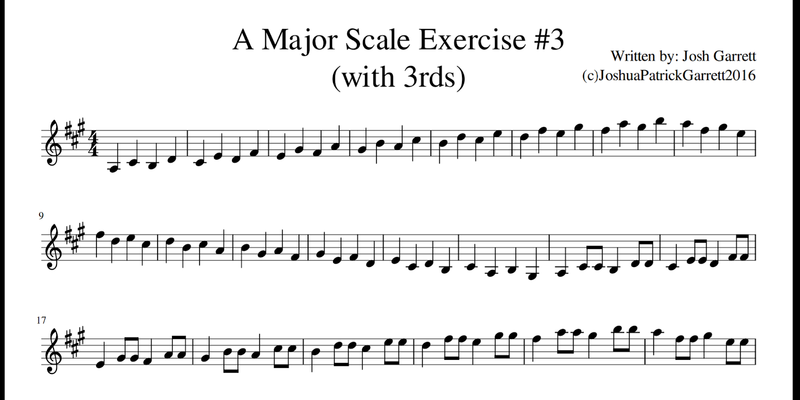 The third exercise also ascends and descends in thirds. Purchasing: Please go to My PayPal and send $2. Please consider donating an extra amount, and leave any comments or questions so that I may provide better content. Anyone who becomes a regular student of mine can receive any of these materials. Those interested in taking lessons with me should email me at ThisisJoshGarrett@gmail.com. I can use video conferencing apps like Google Duo and Skype. In-person lessons are available for those near the Chicago, IL 🇺🇸 area. Please subscribe to my blog and YouTube channel. Thank you !!! I don't have all the chord symbols written out. I still have to finish composing this, and decide along the way if I want to create an arrangement of a couple of verses of John Newton's hymn Amazing Grace. I may just write this as an independent piece, where it would be played simply as an intro to the hymn. I would then switch to accompaniment for voice, probably strumming through the chord changes. I hope you enjoy it and can get something from it that you can use in your own music! 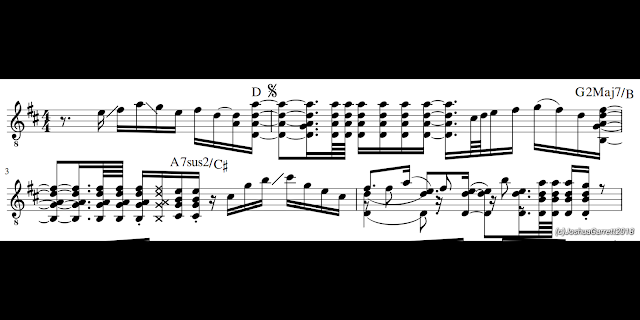 "Bach's Chorale Melodies for Two Guitars"
These pieces can be played by any treble clef instruments, but they were arranged with in the guitar in mind. This first edition contains sheet music only. I plan to create a cover and include introductory text, but I want to share this now with many that I know will enjoy the collection for years to come. It was a labor of love, and I pray that it will enrich the lives of those who perform them, teach them, and listen to them! All 69 of Bach's two part Chorales have been transcribed for two treble clef instruments, and are formatted like the sample pieces above. I hope you enjoy it and find it helpful. Please subscribe to this blog to receive more content like this-- And subscribe to my YouTube channel and 'like' the video. 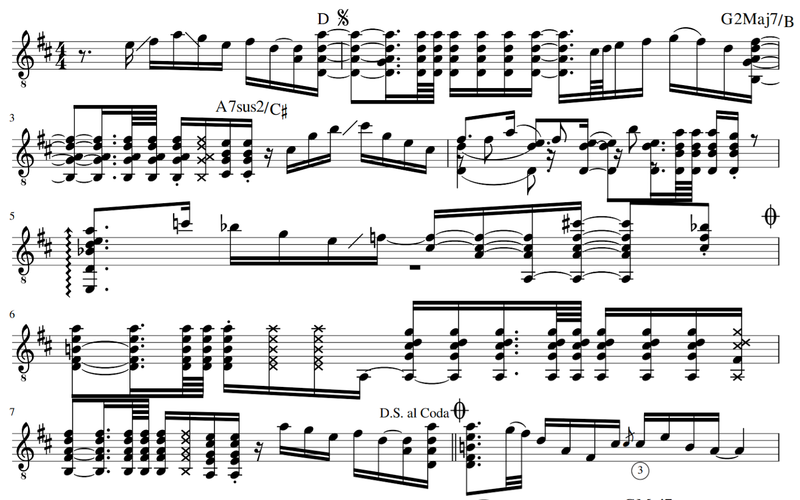 Check out this video to learn a new flamenco-style guitar line in D major. It is the first part of my intro for Amazing Grace. Enjoy! I am available to write transcriptions for personal study and performance! I can transcribe for the guitar and solo instruments. 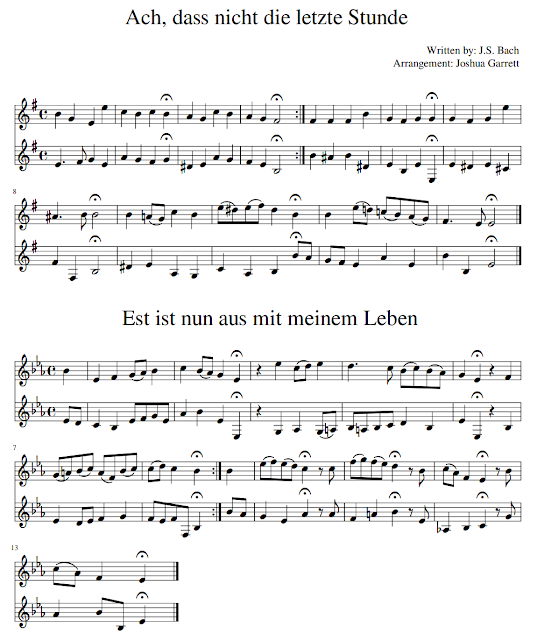 All work is digitally produced in standard notation and sent to the customer in PDF format. Is there something that you are playing on your instrument and you want to have it notated? Or maybe you found something on YouTube that you want to learn and study. Anyone who wants to learn that difficult phrase, solo, melody, or composition and can't find the sheet music should contact me. All that you will need to send me is a decent recording of what the musician is playing, and I will take care of the rest! You can email me at thisisjoshgarrett@gmail.com.